An 1811 wood engraving depicts the coronation of King Henry. Marvel’s blockbuster “Black Panther,” which recently became the first superhero drama to be nominated for a Best Picture Academy Award, takes place in the secret African Kingdom of Wakanda. The Black Panther, also known as T’Challa, rules over this imaginary empire — a refuge from the colonialists and capitalists who have historically impoverished the real continent of Africa. "I am reborn from my ashes," was the motto of Henry I, the former slave who became king. Related: Does 'Black Panther' represent Hollywood? In 1813, construction of the opulent Sans-Souci Palace — meaning literally “without worry” — was completed. A woman climbs the stairs on the remains of Sans-Souci Palace in 2017. Illustrator Mahlon Blaine depicts King Henry on the cover of the 1928 book "Black Majesty." Henry’s dreams of a free black kingdom would not outlive him. On Aug. 15, 1820, the king suffered a debilitating stroke. 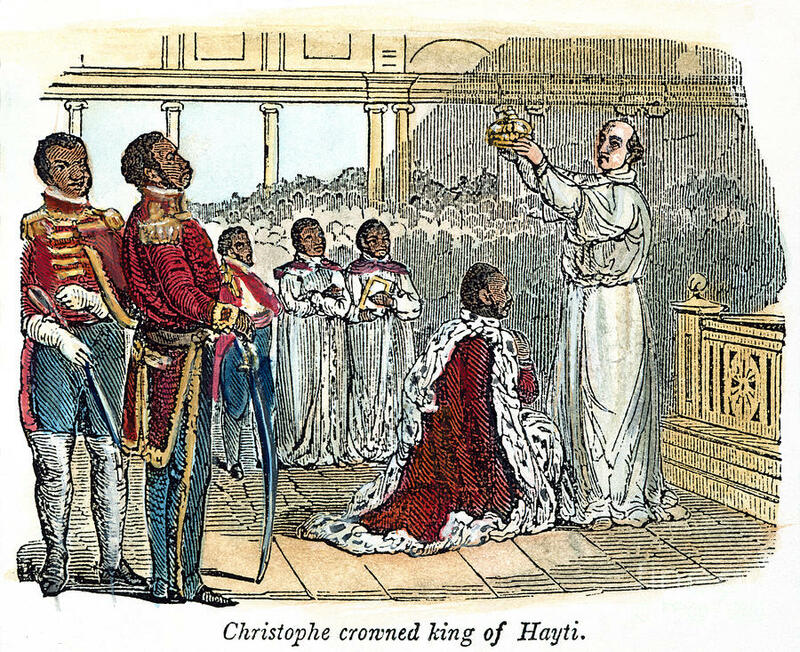 Physically impaired — and fearing a fracturing administration plagued by the desertion of some its most prominent members — Haiti’s first and only king killed himself on the night of Oct. 8, 1820. For all those who still dream of black liberation, strong — if ultimately flawed — leaders, like both the King of Hayti and Black Panther, have always been central to these visions. "History demonsrates that no people has ever done anything great entirely by themselves; it is only ever in collaboration with the great men who become elevated in their midst that they raise themselves up to the glory of accomplishing extraordinary deeds."